Rafik Goubran was appointed Vice-President (Research and International) at Carleton University in Ottawa, Canada in March of 2017. Prior to this, he served as the dean of the Faculty of Engineering and Design at Carleton for almost a decade. Dr. Goubran is a Fellow of the IEEE and of the Canadian Academy of Engineering. 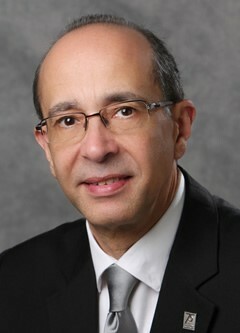 He has held an impressive number of review panel appointments, board positions, and memberships with such institutions as the Global Engineering Deans Council, the Council of Ontario Deans of Engineering, the Canada Foundation for Innovation, Networks of Centres of Excellence of Canada, the Bruyère Research Institute, and the National Medical Devices Alliance. Dr. Goubran’s research expertise lies in the area of biomedical engineering, sensors, data analytics, and digital signal processing. He continues his research projects dealing with real-time patient monitoring and the design of smart homes for the independent living of seniors. As a researcher, he has enjoyed many notable industry partnerships and has supervised over 80 graduate students.